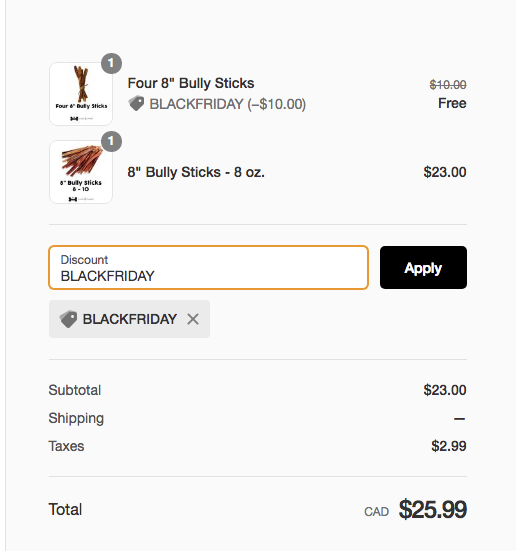 We have a BOGO sale going on right now for Black Friday and heard some customers are having trouble getting the Free Bully Sticks. We feel bad because we weren't that clear, so here is a step by step on how to get the sale! Step 1. 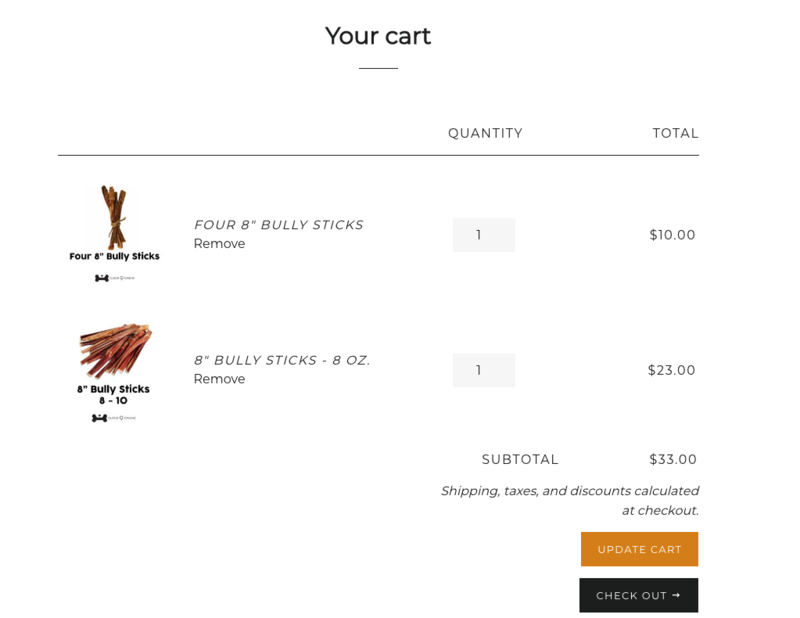 Select the items you want (8" Bully Sticks and/or Custom Tailwagger box) BUT also add the Four 8" Bully Sticks. Then click the 'Check Out' Button. We're sorry for any inconvenience this may have caused and we hoped our steps above help for future purchases!